The Sacred Song Circle folks are organizing an evening of caroling on Dec. 23 that is open to everyone whether you come to the Sacred Song Circle or not. 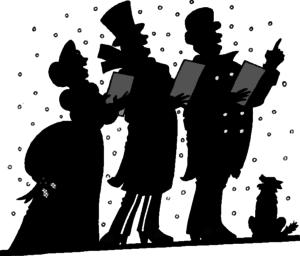 We will meet in Fessenden Hall at 7:00 PM for some holiday refreshments to fortify our spirits and to run thru our carols. Then we will pile into our horse-powered sleighs (aka cars/vans) to go out and carol at a few places yet to be established. If you would like to have the carolers come to your home, or if you know of someone who might enjoy such a visit, please let me know. We wouldn’t turn down any ‘alms for the poor’ either if you were so moved, and those would go to the capital campaign fund. I am also looking for folks who might bring holiday refreshments (cookies, mulled cider (wine? ), hot cocoa with marshmallows) for the gathering and fellowship time before we head out. Please contact me if you plan to come, (but that’s not mandatory), know of a place we could carol, or can bring some refreshments.